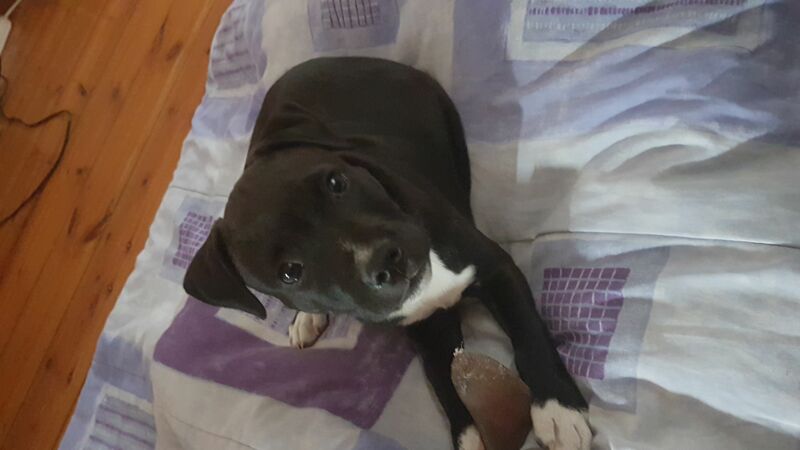 1 Male Staffie puppy for sale, 12 weeks old, all vet checks and vaccinations done. Puppy comes with bed, toys and R 1350 in Hills vouchers. He is high energy, lovable and already house trained, he is one of a litter of 7 puppies, so he is sociable with other dogs and he has been enrolled in training as well. Brothers and sisters already rehomed so he is ready asap. R 4500 negotiable, mainly we want him to go to a loving home that is ready for making him part of the family.